I’m proud to have been the developer behind Circle of 6, which has just won the White House’s Apps Against Abuse Challenge. I spent part of this week in a conference call with US Vice President Joe Biden, who is well-informed and extremely passionate about bringing a stop to violence against women. He spent 5 minutes speaking about our app, which was surreal and heartfelt. It has been more than worth it to spend some Sundays working on such a meaningful project with a great team; and glad to see our work will be appreciated. Like our Facebook page to stay up to date and join the pledge to end violence against women–we already have over 3,000 pledges. The app will launch in January 2012. Circle of 6 is an iPhone app for college-aged students and their friends to stay close, stay safe, and prevent violence before it happens. We believe that staying connected to a small group of people is critical to keeping you and your friends informed and safe. 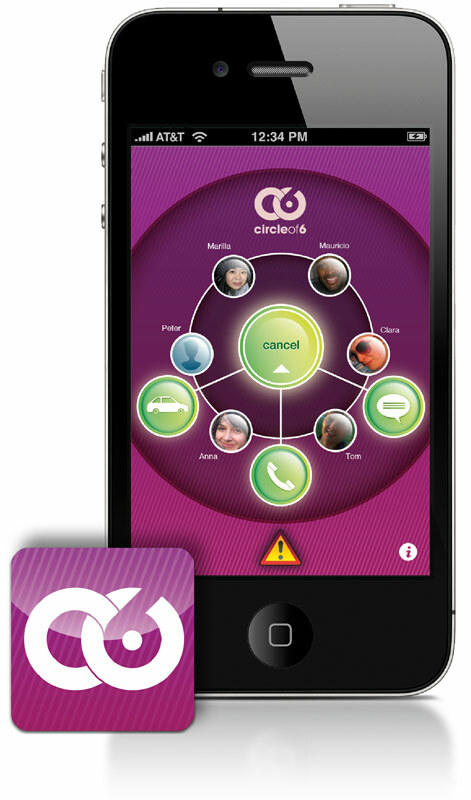 Circle of 6 is a mobile app that makes it quick and easy to reach your circle and let them know where you are, and what you need. It’s a fast, easy-to-use and secure way to look out for each other. The design is simple. It takes two touches to get help, so no fumbling or digging around for the right number. We use icons to represent actions, so that no one can tell what you’re up if they see your phone. The design ensures safety, speed and privacy. GPS is integrated (using Google maps), and is only activated by you, and sent to your own Circle of 6. Publicly we ask that everyone take the pledge to stop violence before it happens. This via a Facebook page to engage large numbers of young adults 18-24 in advocating for safer campuses and relationships without violence. Privately, we ask that you look out for each other by downloading the Circle of 6 app and supporting your friends. ← Previous Previous post: Kliq – What has been intriguing you lately?